The Complete Cockapoo Owner’s Handbook (available on Amazon for Amazon.com and Amazon.co.uk) is the newest revision of our popular owner’s guide. Clocking in at around 55,000 words, this is the ultimate resource for all cockapoo owners. The brand new 2013 Edition has been revised and expanded with new material, and is a massive wealth of cockapoo information. Dig into subjects like understanding the cockapoo temperament, choosing a good breeder, picking a high quality dog food, potty training, dealing with potential health and behavioral issues, teaching your dog to get along with other family pets, suggestions for fun activities you can do with your furry best friend, solving Canine Possession Aggression (CPA), and much more. If you own a cockapoo or are considering one as a pet you need this book! FREE BOOK! 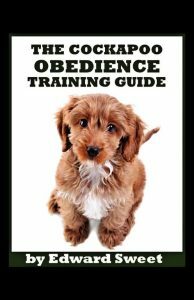 The Cockapoo Obedience Training Guide provides simple, effective methods for cockapoo owners to accomplish basic obedience training without paying hundreds of dollars on classes, trainers, or special equipment. Teach your dog to Sit, Stay, Down, Come, Heel, Leave It, and Drop It, all without spending a single penny. This book uses methods we have found effective on even the surliest cockapoos. Using the techniques found in this book will help you eliminate or prevent behavioral issues, establish proper order in your “pack”, and foster a closer bond with your pet. At Scribd.com, you can read it entirely online for free. A Brief History of Dogs investigates and explores the history of man’s best friend, covering subjects such as our ancient encounters with wolves, the influence of dogs in art and culture, and our sometimes disturbing history of canine experimentation. 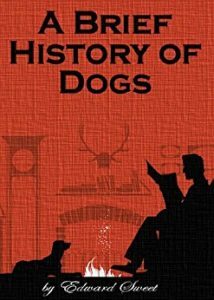 If you are looking to learn more about the history of dogs in one concise and enjoyable guide, look no further. A Brief History of Dogs is the first ebook in the Best Dog Book Series. A Brief Guide To Traveling With Dogs will prepare you and your pooch to hit the road, sky, or even the open sea together. With handy tips on everything from disaster preparedness to travel products, and loaded with resources for vital information, this is one book you and Fido shouldn’t leave home without. If you are looking to learn more about traveling with your dog in one concise and enjoyable guide, this is it! A Brief Guide To Traveling With Dogs is the second ebook in the Best Dog Book Series.